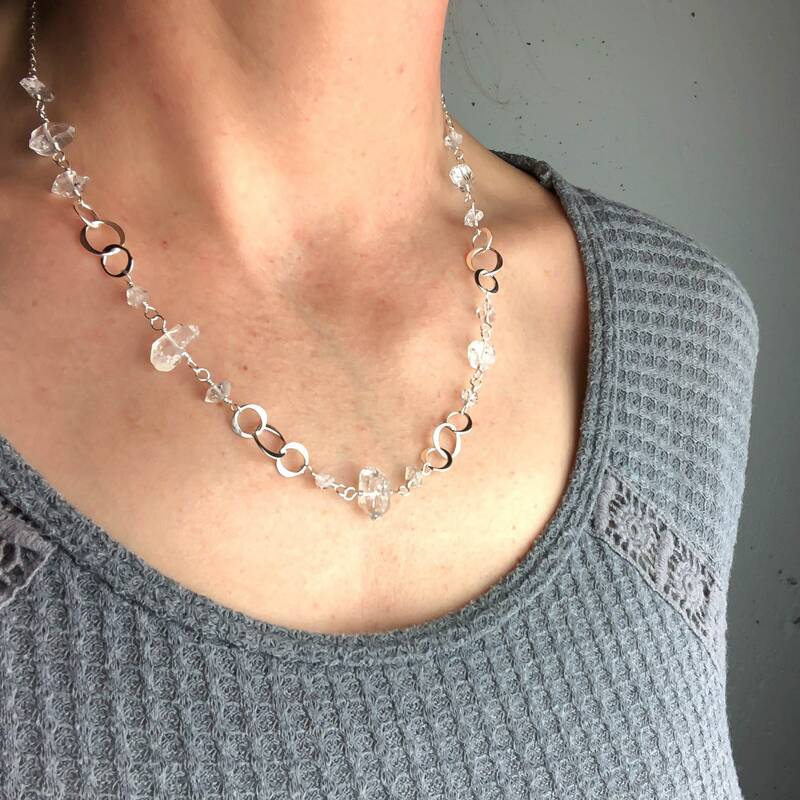 Herkimer Diamond and Silver Circle Station Necklace 18"
* Necklace is adjustable from 18"-20" with a lobster claw clasp. 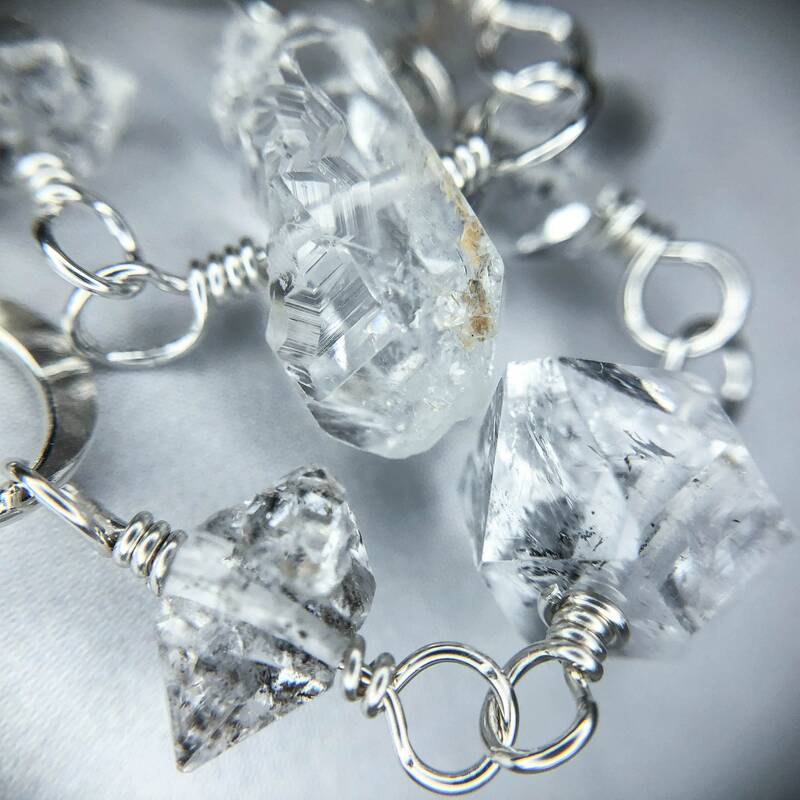 Handmade with sparkling raw Herkimer Diamonds and solid sterling silver, this handmade chain makes a statement and goes with everything! 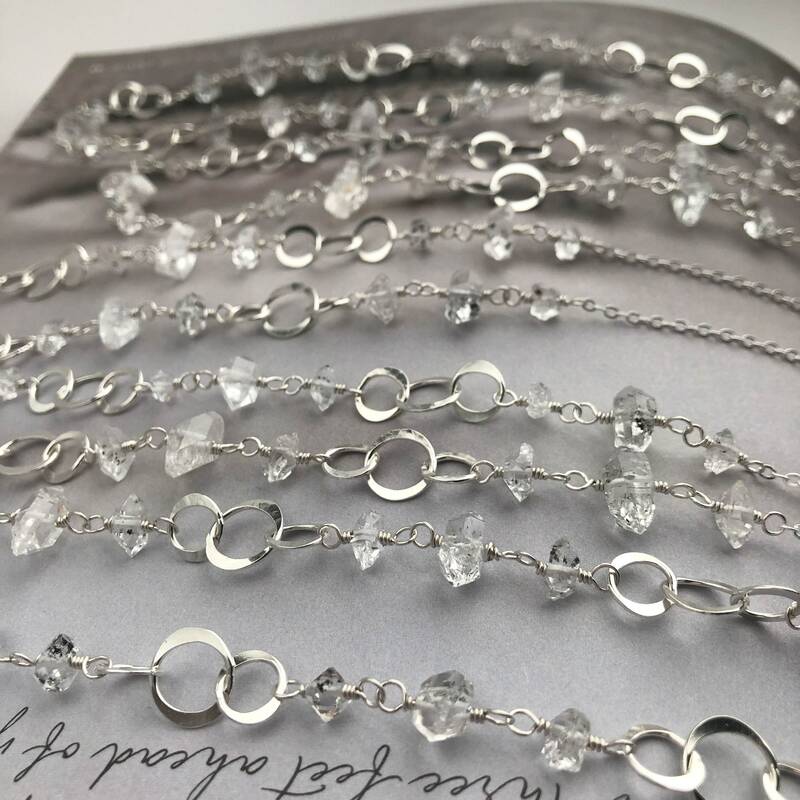 I created the silver stations from sterling silver formed into circles, welded shut and then hand hammered for dimension and texture. 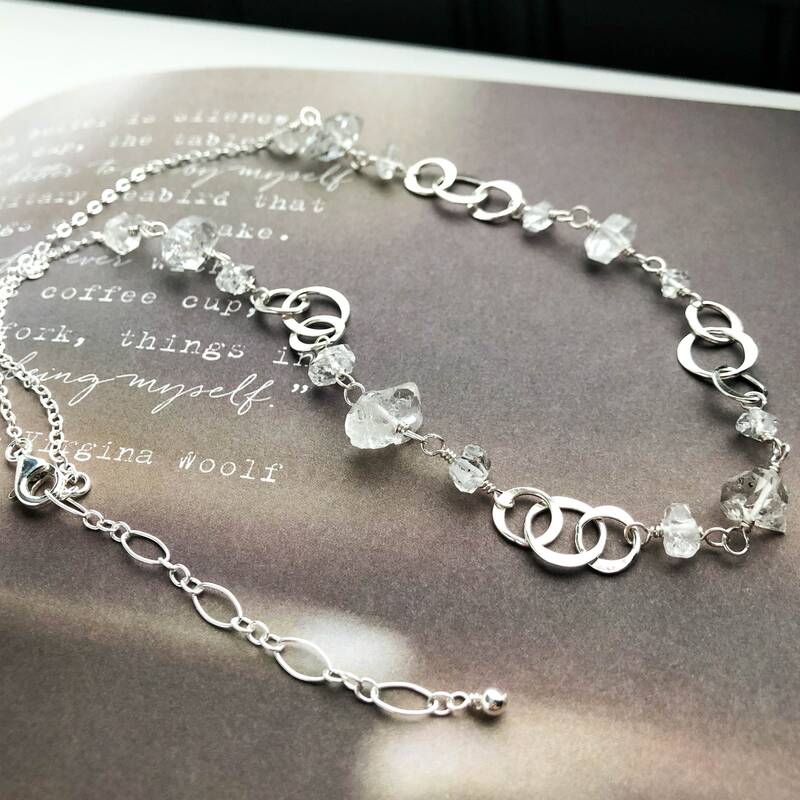 I polished the silver to a high shine to catch the light perfectly. 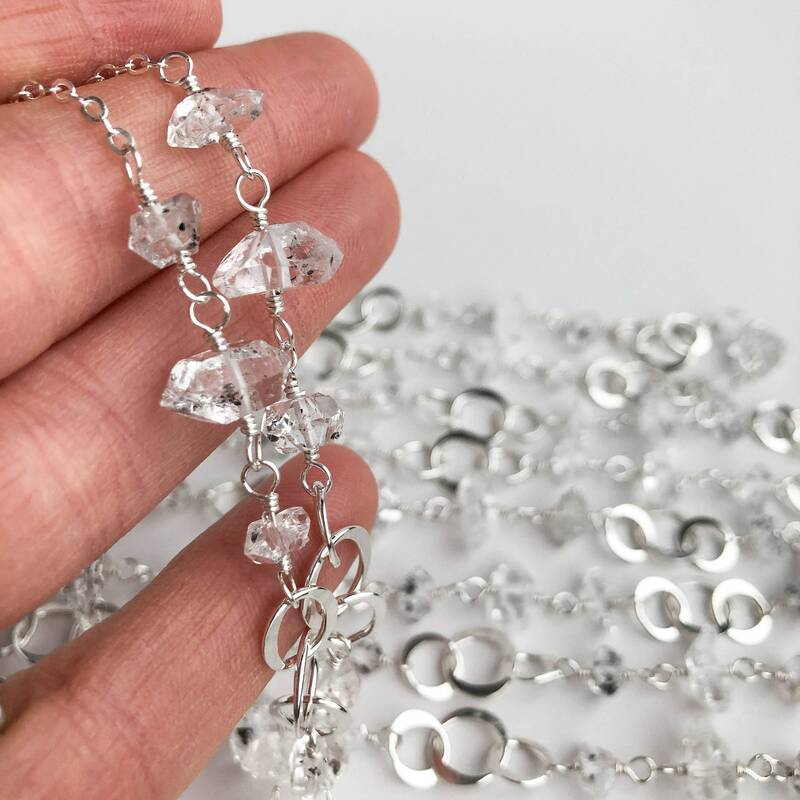 Next, the stones are hand linked between the silver circles one by one to create the chain. 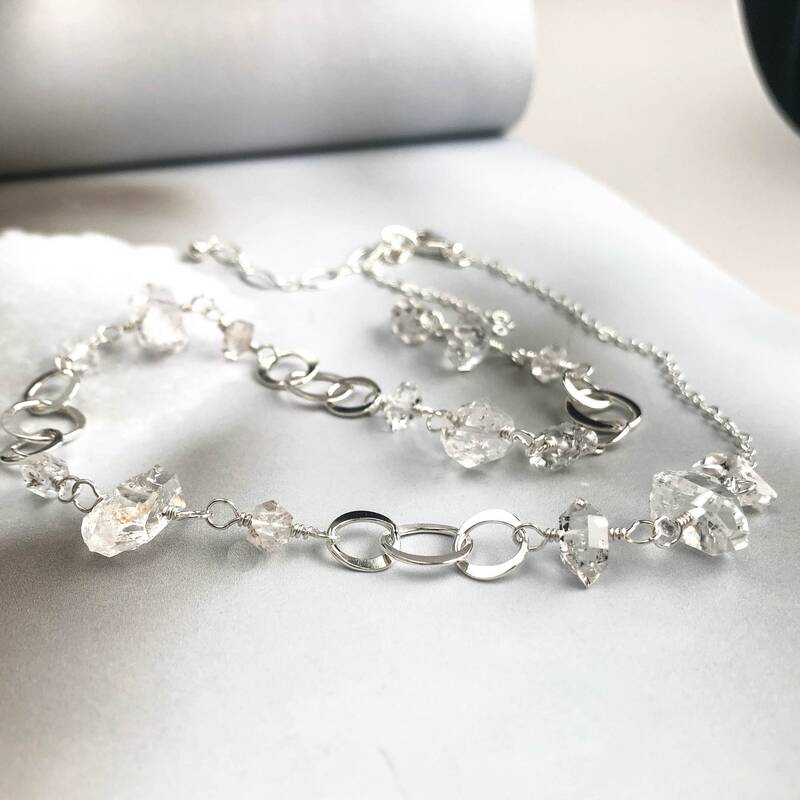 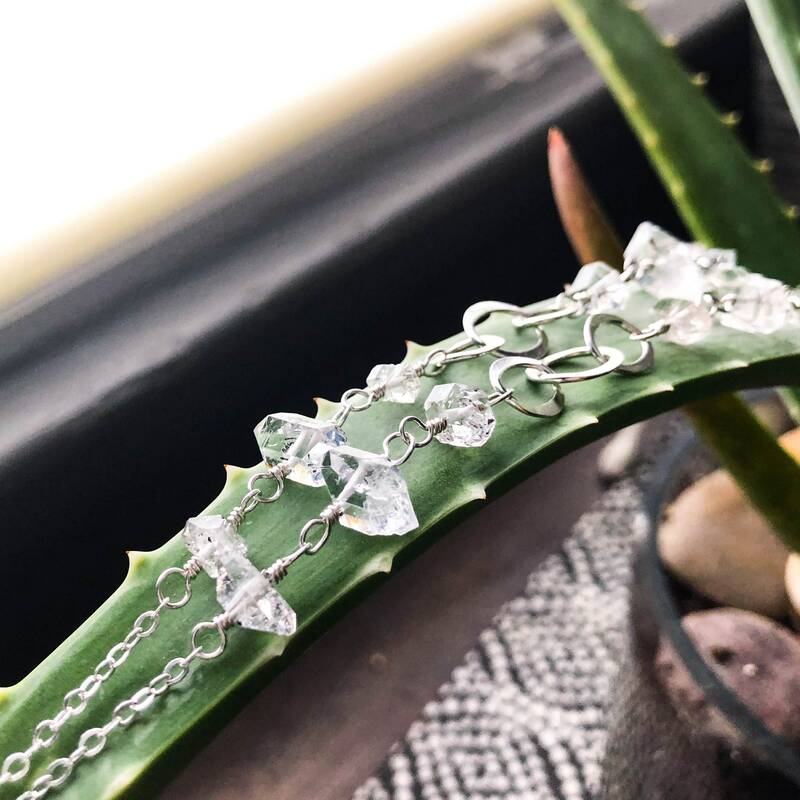 This necklace has such an elegant look to it with the clear stones and polished silver but it still has such a cool edge to it as the stones are not cut or shaped, they are the natural crystal points. 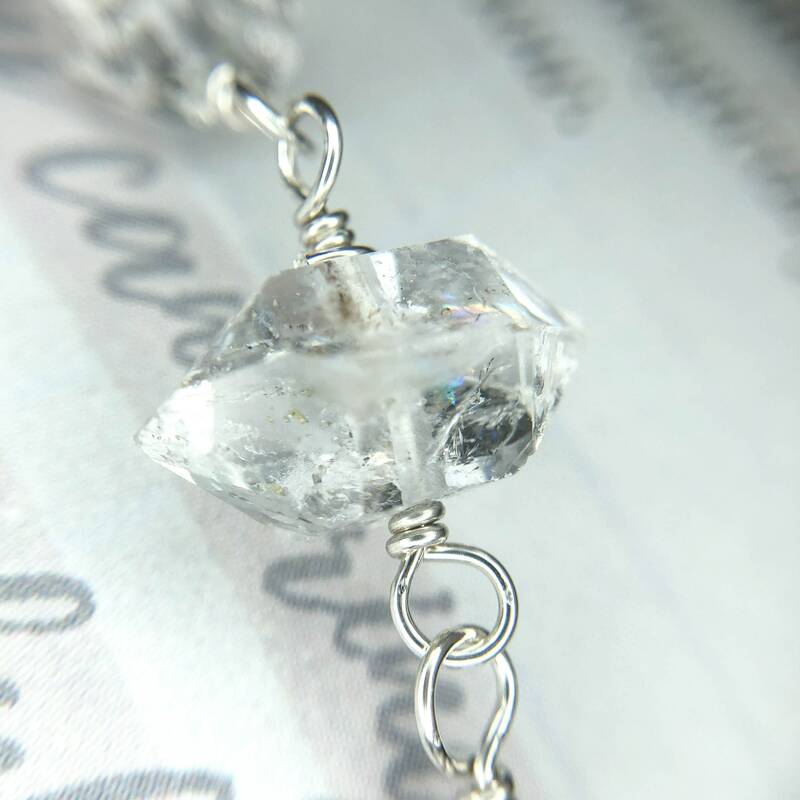 This would work perfectly with a t-shirt or dressed up! 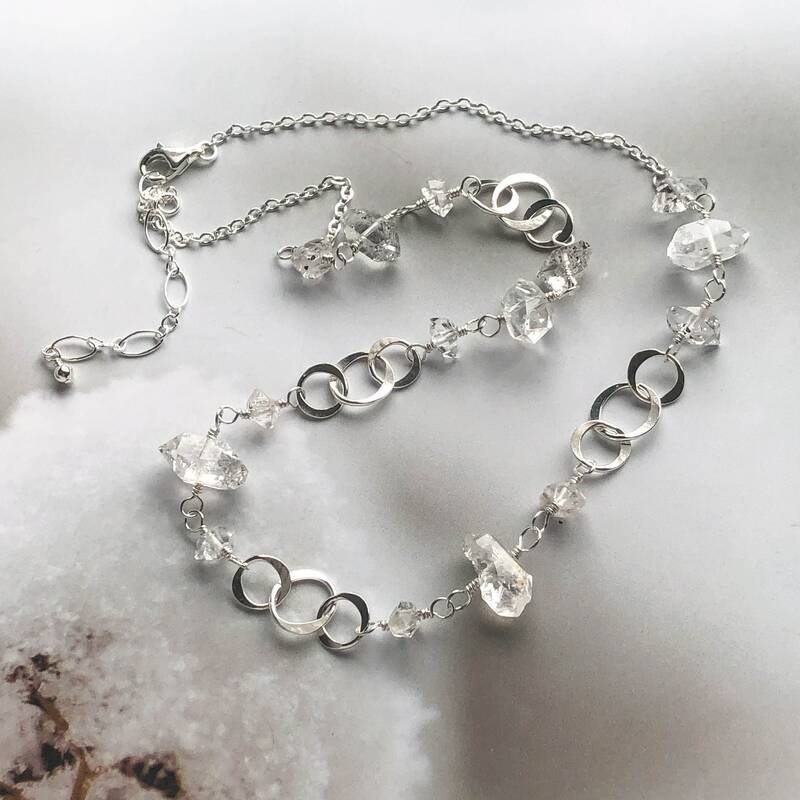 The necklace is adjustable in length from 18"-20" with a lobster claw clasp and 2" built in extender chain. 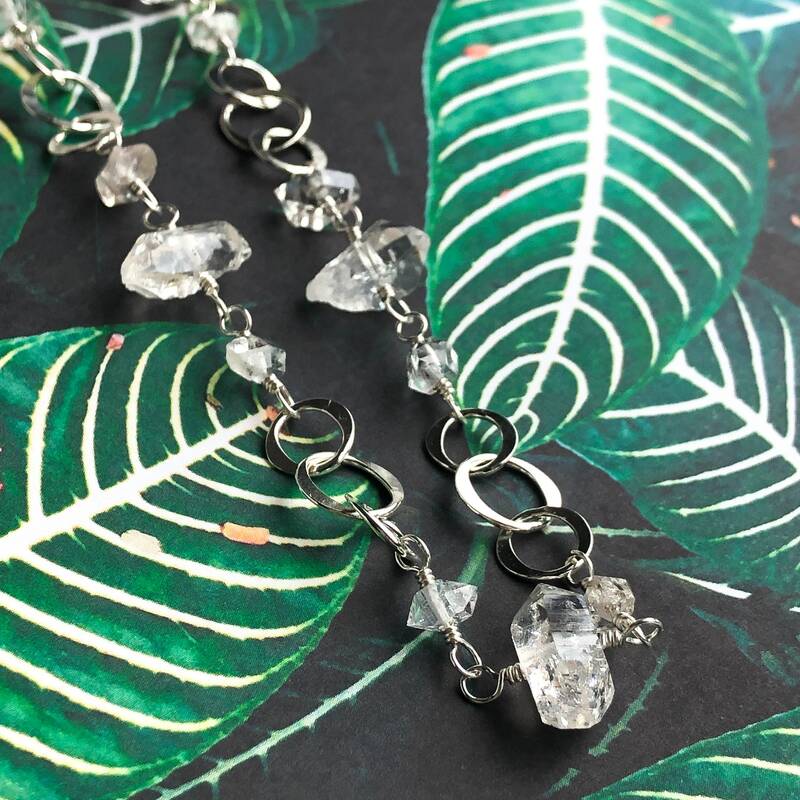 Because we use natural stones and handcraft each link in this, there will be slight variations and each necklace will be a one of a kind.